Kashmir – Muji chatin or mooli ki chutney is a popular accompaniment in the northern most state of India. It is prepared by stir-frying radish in mustard oil, lending it a pungent taste. The addition of walnuts, Kashimiri chilli and lemon only contributes to the complexity of flavours. Punjab – Food from this state is a global favourite and often represents what the world perceives as ‘Indian food’. But meals eaten in a Punjabi household may not usually include the creamy daal makhani or popular sarson ka saag. What remains a staple though is a delicious chutney prepared in the kitchens using mint and onion. 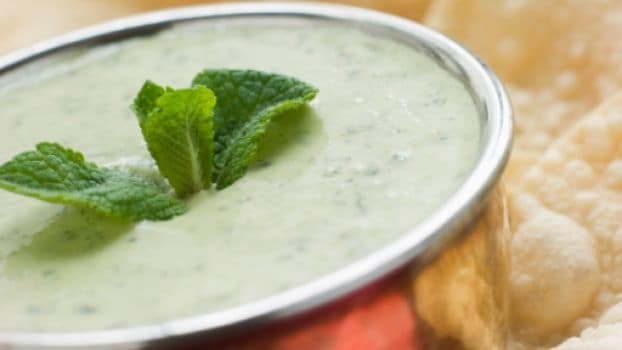 This pudina chutney is cooling and can be found in any Punjabi household during summers. Usually made with a mortar and pestle, it has a hint of sweetness too. Gujarat – Gujaratis love their snacks. Well, they love food in any form. And their indulgence is reflected through the variety of chutneys on their thaali. An interesting one is the gram flour-based chutney that accompanies fafdas, a common breakfast in the region. The spicy raw papaya chutney and the garlic chutney eaten with bajre ki roti have their fans too. Maharashtra – Meanwhile, neighbouring Maharashtra is not to be left behind. Whether it is the spicy garlic chutney that lines vada pao or the absolutely delectable tilkoot (one made with black sesame seeds), there is plenty to keep your palate entertained. From another region within the state, Solapuri shenga, a peanut-based condiment is worth a try too. Tamil Nadu – At the other end of the country, no Tamil meal is complete without an array of chutneys. Snacks like idli or vada are served with coconut chutney. In addition, the tangy tomato and onion-based thakkali chutney complements a regular meal too. 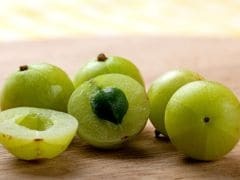 Like most dishes from this region, the chutneys usually have a tempering of mustard seeds and curry leaves. Kerala – Like Tamil Nadu, the abundance of coconuts along the coast make it one of the key ingredients in dishes from this state. No Keralite meal is complete without coconut chutney. Various versions of this exist, the popular ones being with tomatoes and the addition of onions. Andhra Pradesh – One of the most unique chutneys you may get to taste in India is gongura pachadi. Made with red sorel leaves, garlic and chilli, it is usually eaten with rice. West Bengal – Who doesn’t love the delicious mustard-based flavours that dominate food from West Bengal? But a little known secret is the chutney that adds a zing to every meal here. Called amsotto khejurer chutney, it predominantly consists of of dates and tangy aam papad. 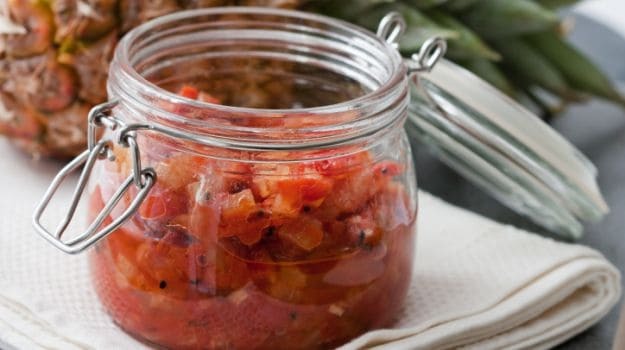 This sweet and thick chutney is also prepared with the addition of tomatoes in some households. Nagaland – The food from each state in the north-east is unique. Locals in Nagaland swear by nghe thu’um, made with dried fermented fish, chillies and tomatoes. The use of bhoot jholakia, the hottest chilli in the world, makes it unpalatable for people with milder tastes. Another popular chutney here is called akhuni and is made with fermented soya beans blended with chillies, ginger and salt. CommentsAssam - The Assamese variation of the fish chutney found in Nagaland is called xukan machor chutney. Made with dried fish, tomato, potato and onion, it has a strong odour and flavour and is popular with the tribal communities. 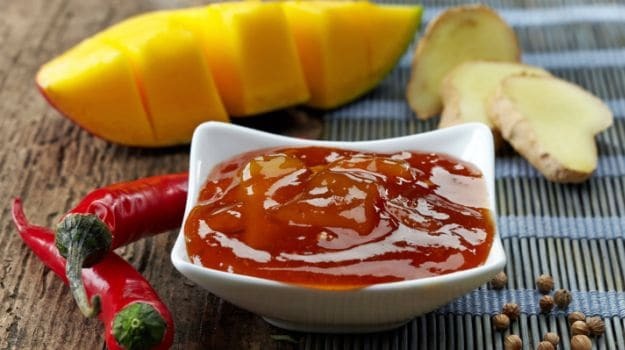 A chutney made with jalphai (Indian olives) is also seen in Assamese thalis as is another spicy one made with the vitamin C rich kordoi (star fruit).